For every East Village business that’s opening or closing, dozens are quietly making it. Here’s one of them: Dual Specialty Store. 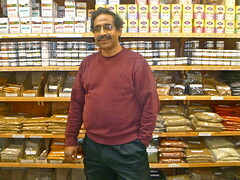 In 1989, Abdul Patwary opened Dual Specialty Store to serve local Bengalis. That community has dwindled and the spice bazaar and Indian goods store – located a few steps below street level at 91 First Avenue, around the corner from Curry Row – suffered a fire in 2005. But Mr. Patwary, along with the family members who help him run the store, got things rolling again, and Dual Specialty is thriving seven years later. We asked the shopkeeper, who doubles as a doctor to some, how he’s managed to make it this long. How has your customer base changed over the years? There was a big Bengali community that lived here, and we, my family, started this business first to bring our products to them. We wanted to bring them things they wanted and needed from back home. Then the Bengali community started to leave this area, so we changed the mood of the business. We could see that we had to appeal to a larger, vast community here in the East Village. Our customers were people who care about their health and want to use natural, high-quality products to treat themselves better. What did you do to change your business as the community changed? 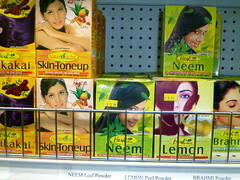 We kept the Indian products, but we also added things from around the world. First we started to reach out to the Middle Eastern community and sell special health and food products from the Middle East. 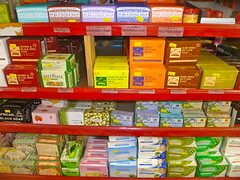 Then we added products from Europe that the European community cares about. Then Oriental and African, and last, Mediterranean and Hispanic products, for those communities who want some high quality for their products. We added more products from India too: the spices, foods, nuts, the ayurvedic products, and we focused on getting special spices from all around the world. Do you have more Indian or more American customers these days? We have more Americans than Indians. Now people from India aren’t as interested in Indian products only. Americans are more interested in a natural, organic way to live. I will always keep this the Indian way. Keep it a dual specialty where I bring the east to the west. What was your rent when you started and what is it now? We started at around $2,500, and now it is over $7,000. Is it hard to make $7,000 a month here? Family helps when we don’t make it. They help during the slow months. Taxes are really high. This month I paid over $5,000. I always pray we’re going to be O.K. What has been your hardest year so far? We had a fire here in 2005. It was a very bad year, but we rebuilt. The damage was bad so we had to throw away all our products. I had insurance. All my family helped out after the fire so we were able to survive. It was my brother, all my sons, my nephew, my daughter, my wife, my father. Everyone came to help and work here. The community helped too. People showed us how much they appreciated our work by helping. There was a lady next door who helped us set up a tent outside with spices and herbs while we rebuilt. What has been your best year? 2010 was the best year for us. It was when we were came back O.K. finally. We caught up. After the fire, it took four or five years for us to be really back and O.K. Summer is a good time for us. July is good. People come in from the neighborhood, also tourists. Many people know us from Yelp. Yelp is very important for this business. Why do customers call you Dr. Abdul? One lady had very bad pain in her fingers. She showed me her hands. I gave her turmeric. I told her to mash it and put it on her hands for the joint pain in her fingers. The next week she was O.K. She had arthritis. She calls me Dr. Abdul now. This is how we grow up in India. My mother and my grandmother know this and they teach us.